What are the best interview questions when hiring testers? Everything you wanted to know about hiring testers can be found in this issue of ASTQB Software Testing & Certification News. Looking for interview questions used when hiring software testers? Whether you are hiring software testers or looking for a job yourself, you'll find the article below tp be very helpful. ASTQB Appreciates Local Testing Groups! Short on testing time / budget? We have the solutions. How can you do great software testing even when you don't have enough time, money or support? Find faster and easier ways to test at the ASTQB Summit software testing conference on Friday, September 15th in Irvine, California. You’ll learn great testing tips – and you’ll help your career. Solve headaches associated with tight software testing schedules and budgets. Share ideas with fellow software engineering / QA professionals who can support your career. This is one of the best software testing consulting values ever! Hiring all of these software testing expert speakers could cost thousands of dollars. Come to the ASTQB Summit to get their testing insights and expert advice for just $250 if you register by the early-bird deadline. The ASTQB Summit testing conference is suitable for all professionals who have an interest in software testing or anyone looking to advance their skills and knowledge in the future of technology. Get insights and practical software testing solutions you can’t find at any other software testing conference. Hear our keynote address from Nate Shapiro, Test Manager for Blizzard Entertainment’s Heroes of the Storm. Enjoy 3 breakout sessions from 6 choices in key software testing / business analysis areas. Get to know your fellow testers during lunch. Dive into an interactive, in-depth workshop that provides practical hands-on solutions. Laugh and learn with lightning talks that will amaze and delight you. Chat with your fellow software testers and our expert speakers at the cocktail / social hour. You will learn to test faster and with fewer resources. You will know how to increase the value of testing with management and clients. You will be able to teach co-workers the great new testing ideas you discovered. Get insights and practical software testing solutions you can't find anywhere else. Learn more now. We recently received a great note and photo from Melissa Campbell, CTFL, Director of Test Services at FDB (First Databank, Inc.). 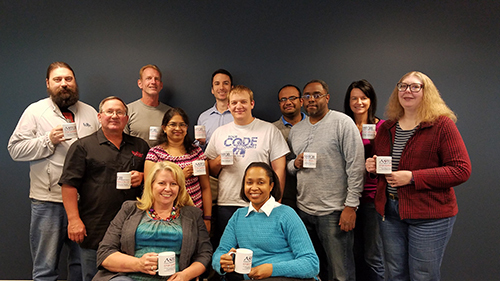 "Thanks for allowing us to share our teams’ accomplishments of being Certified Testers at the Foundational Level. We maintain our goal of all testers and managers being certified in Software Testing since 2011. Thanks for providing industry accepted paths and opportunities to learn and develop our Testers." We would love to hear from you, too! Send us your team photo and story so we can share it with your fellow ASTQB certified testers! Congratulations to the testing team at FDB! We look forward to seeing you at future shows! 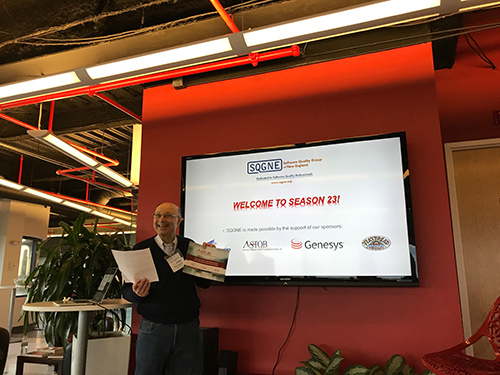 Thanks to Robin Goldsmith and all of the attendees at the recent Software Quality Group of New England (SQGNE) meeting! Having founded XBOSoft over ten years ago, we’ve hired and worked with not just dozens but thousands of software testers. We are a service-oriented business, so the quality of our product – our service – is entirely and directly based on our people. Whether our clients are satisfied or not is not dependent on features and functions, but on various elements of the services we provide. With our emphasis on quality and service, you could say we are really in the business of hiring, training and retaining the right people for our company. That sounds quite simple, but as most people know, it’s not so easy. In this article, we’ll discuss the first step in hiring the right candidates by examining our processes and key qualities we look for when hiring software testers. Joel said this simple heuristic is all you need! And it is. Of course you want someone smart, right? But “smart” could mean someone who has a lot of knowledge and can talk your ear off about the universe and the many books they’ve read. When they leave your office, you’re thinking “What did they say?” On the other hand, you could have someone who really charges forward and gets things done. But if they aren’t smart, they could be making the wrong things happen. It’s best to have both qualities in one person. Of course this is ideal, but sometimes you need some people who are smart (but don’t get much done) to figure out what to get done. These people need to be complemented by doers who can get stuff done. Blind interviews: When we interview a newbie, we have a few rules or parts of our process. Firstly, they have individual interviews. We want each interviewer to form their own opinion, so we don’t allow the interviewers to talk to each other or see each other’s assessment. We have several rounds of interviews and some interviews take place with no resume. We do this because we feel that sometimes a resume can bias the content of the interview. If you see someone with an Ivy League resume, you may interview them differently than someone with a community college resume. We got this idea from Malcolm Gladwell’s book, Blink, where he discusses the effect of blind auditions in eliminating gender bias in the hiring of new orchestra members. By placing the auditions behind a curtain, judges were not able to rely on their natural biases. For example, a judge might have a gender bias regarding tuba players, thinking that women have weaker lungs than men, making them “weak” before they even played a note. Hands-on tests: You can only tell so much from an interview. Someone can talk and present themselves well and that should be a clue as to their hands-on abilities – but not always. Therefore, we also give candidates a real test in creating and designing test cases, finding defects, and writing down the defects. The test case design shows how they think through an actual problem. Defect writing not only shows their ability to find defects, but just as important how they present the defect such that a developer can characterize and fix it. Written tests: We give several types of written tests. Some could be as simple as finding a defect and documenting it. Other tests we give include reading a client email and determining priorities from the email; sensing the “mood” of the client from the email; or reading a test case and figuring out where there may be ambiguities. Oral tests: Many times, we do role plays with the interviewee. We present them with some background information on a situation and then have a role play with them improvising what to do and say during the course of the scenario. We may also give them 15 minutes to research a topic (it does not have to be related to testing) and have them give a short five-minute presentation. We’re interested in seeing them prepare quickly, think on their feet, and understand what is important and pertinent to present – and what is not. Problem solving tests: Sometimes we have general problem solving tests totally unrelated to software testing. We do this in both verbal and written settings as some candidates may think faster on their feet while others like to sit and analyze carefully. In both cases, the tests can tell us how the candidate thinks and organizes their thoughts. Pairing exercises: We give a short exercise in which the candidate works with a staff member. This helps us to see how they work with others in real time, and how they communicate. This gives us a first hand look at their technique, methods and thinking process. Communication skills: Regardless of whether a person is a newbie or experienced tester, we need good communicators. It’s rare that you’d have a good writer who cannot express their thoughts verbally as well. If you have a poor writer then most times they will also be a poor speaker. Those that can’t spend time to organize their thoughts on paper will probably also not be able to express themselves in a clear and organized way verbally either. So reading and writing are critical parts of our interview. Flexibility: When we recruit an experienced tester, we really have to think about cultural fit, their skill match with our immediate needs, and their ability to adapt those skills. Many times, we use different tools for different clients, so we don’t want someone who “only programs in C#”. Most people can program in multiple languages, but some just can’t. So, often we ask for pseudo code rather than any particular language. That is a test in itself as we give no definitions and want candidates to be able to work in undefined environments. Passionate: One of the questions we ask is what the candidate does with their spare time. While they may answer that they like to go hiking, we are looking for side projects which are indirectly related to their craft. This shows that they really love their work and it carries over into their hobbies. We may ask what books they have read lately. This also gives us a clue as to what they are interested in, and if they have a passion for learning. Academic credentials: Some of the mistakes we’ve made include hiring fresh graduates with what we thought to be good potential based on their grades. We have hired some of the brightest students with the best grades, and they show up for work and can’t do a thing – we have to tell them what to do. Because there is no teacher to hand out assignments or tell them when the final exam is, they have a hard time finding their way on their own. On the other hand, we’ve hired students that didn’t do well in school and struggled, getting barely passing grades. Some of these students turn out to be the best software testers on our team. That’s why, at XBOSoft, we don’t really care too much about the grades people get in school, nor do we care much if it is a “name brand” school. Certifications: As with academic credentials, certifications are not accepted at face value. However, we do see them providing benefits to the other parts of our process. For instance, if candidate uses terms that are not consistent with “standard” ASTQB terminologies during the verbal part of the interview, then we feel they should acknowledge how many people define the term, how they see and understand that their terms are different, and why they use them. This is the same for all parts of the process, including the written and pairing session. In a way, ASTQB certifications satisfy one of the base requirements, communication skills, because we want our testers to speak the same language and have similar reference points. Problem solving and open minded thinking: While we naturally want candidates who can solve problems quickly and logically, we care mostly about the candidate’s thinking skills and the ability to create their own style based on many different sources. The candidate should recognize that all schools of thought or sources of information have strengths and weaknesses, and be able to take the best from any and all sources. We like those who ask intelligent questions that show how they think about a problem and demonstrate different ways to approach a problem. More importantly, we look for those that go one step further and ask questions to figure out what problem is the right problem to solve. Attention to Detail: This is a key element of the quality of “get stuff done” as mentioned above. Firstly, they must do the right thing, but if they don’t have attention to detail, this is a real killer. All the little things add up, such as misreading an email to not fully understanding what is important to the client. These are some of the qualities – the raw materials – we look for to create a software testing expert at XBOSoft. Because our employees tend to stay for a long period of time, I’d like to think this is at least part of the reason why: We give them the freedom to think and be wrong, and create new ways rather than follow any particular school of testing. If you’ve spent the time to build a strong team, you want to keep them! I look around the facility, see our testers hard at work, and recognize a diversity of paths to our company. Many of them came in as fresh new engineering graduates, while others came in with many years experience. Almost all of them have stayed with XBOSoft for quite some time, some over nine years since our founding. Along the way, we’ve learned some valuable lessons in finding the right people. We have also recognized the importance of being able to blend in with our company’s culture. That’s critical to the next most important part in building a team, keeping them on the team. When you think about team members coming and going, some companies think that they want fresh blood coming in constantly, while shedding team members that are not ideal. However, our philosophy is that to build a championship team, you need a team that stays together. Based on the results so far, it’s working. 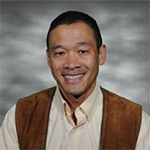 Philip Lew, CTFL is the CEO of XBOSoft, a leading provider of global software quality engineering services. Phil has international experience in startups and operation in a wide variety of business applications, and deep expertise in software engineering. He and his team comfortable working with any platform, framework, or medium, and are experts in the agile testing process. ALPI: 40% Discount for ONSITE group classes for ISTQB (FL, AT, AL-TM, AL-TA, AL-TTA), HP (UFT, QC, LR), Open Source (Appium, Selenium, JMeter) and Certified Ethical Hacker (CEH). Individual sign-ups for Public classes at www.alpi.com/training. Learn from the Pros! Test Process Improvement since 1993. Contact our Training & Consulting Services team for details at training@alpi.com or by calling (301) 654-9200 ext. 403. Spring $avings through June 20, 2017! NOPMARK Consulting: NOPMARK Consulting offers these companion courses at significant discount when taken together with the ISTQB Foundation Level course: Medical Device Extension, Banking Domain Specific Testing, E-Commerce Domain Specific Testing, Insurance Domain Specific Testing, Telecom Domain Specific Testing, Cloud Domain Specific Testing. We offer up to 50% discount on all onsite courses of 6+ participants through September 2017. Included in these discounts is 1-hr free practical consulting on participants actual projects. Contact info@nopmark.com or visit www.nopmark.com. Rice Consulting Services: Rice Consulting Services is introducing a monthly subscription model for all e-Learning courses, including four certification courses. $69.99 USD/month gives individual access to 19 non-certification courses, PLUS the ISTQB Foundation Level Course in Software Testing, ISTQB Agile Foundation, ASTQB Mobile Tester Certification, and IQBBA Foundation Certification for Business Analysts. Exams are not included and a 3-month minimum membership is required. Advanced certification courses are not included. For details, please visit http://bit.ly/2snO0uL. RBCS: RBCS has new stuff! Enroll in private, public, virtual, or virtual boot camp ISTQB Advanced Level Security Tester and/or ISTQB Expert Level Strategic Module and receive a 15% discount on tuition. Enter the code NEWSTUFFRBCS17 into the discount code field in your cart to receive the discount. Offer expires July 15, 2017. Both courses under accreditation. An ASTQB booth can be found at many software testing conferences throughout the year. Stop by and say hi to our volunteers and staff if you are there! 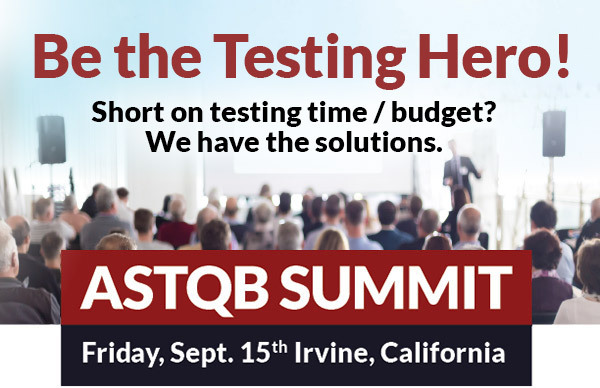 Of course, you'll won't want to miss the ASTQB Summit in Irvine, CA on September 15th. You can't beat the great speakers or the location!